I'm not sure whether this is a cat or a cutesy tiger...cat, I think. He appears on p. 29 of the Create a Critter booklet and is cut at 3.75". 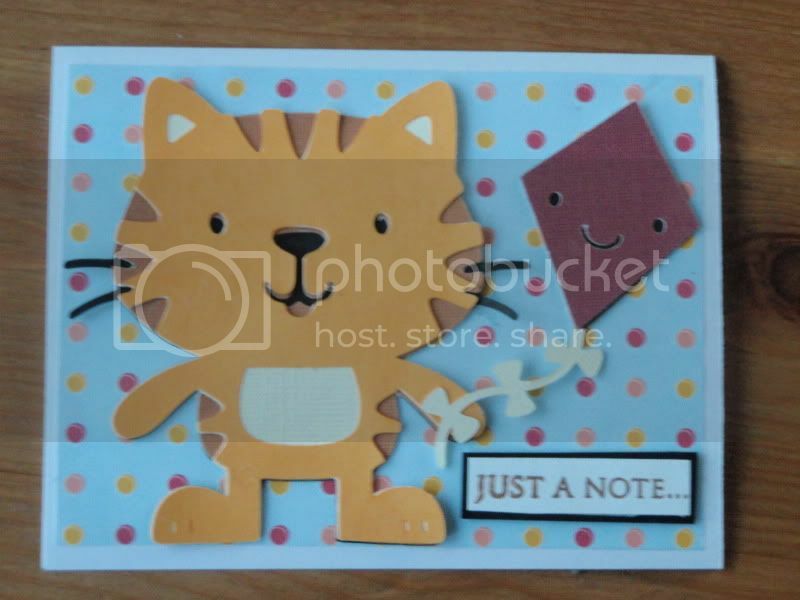 For those of you who might be skipping the base later to save cardstock, I don't think that is an option here because of the whiskers. However, if you have a better solution, please let me know. 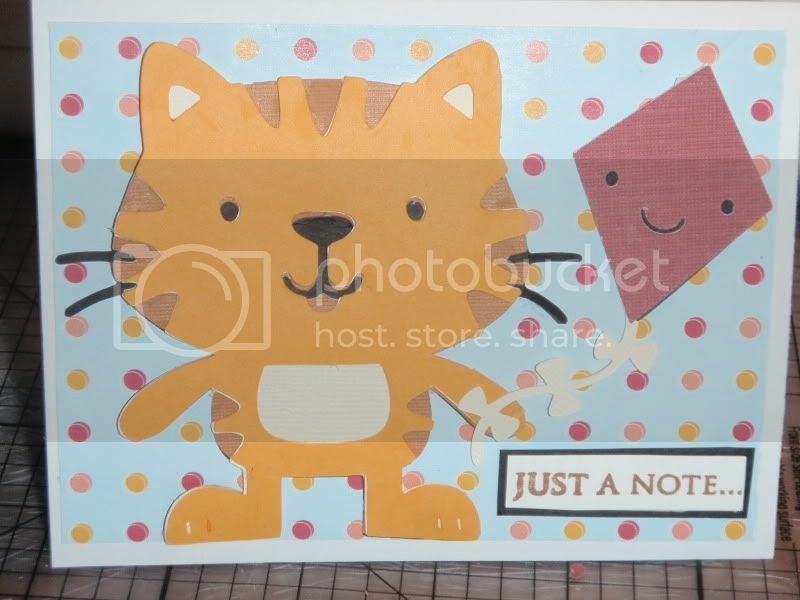 I think I need to start buying certain colors of cardstock by the ream ;) Anyway, the kite is an accessory to the giraffe on p. 48. The kite is cut at 3.5 using textured cardstock (in cream and a muted cranberry shade) from a DCWV pad I got at Michaels at the Memorial Day supersale! The pattern paper was from my stash, but matched surprisingly well with the cardstock. The flash washed out my colors. Here he is without the flash--colors are truer, but he's a little fuzzy.